Over the past couple of months I engaged in a bit of knitting because I will be made a aunt again in June. Needless to say the entire family is thoroughly overexcited. And the best thing of all is that my brother and his grilfriend also live in London which means I hopefully will get to see my little niece often. I love knitting but find little time these days. My mother knitts even more and loves knitting for my nephew and all the small children in the extended family. Oddly enough I don't like knitting jumpers for children and I think that is because it seems such a waste given that they grow out of in six months time. But baby blankets is something totally different. I love making these knowing that they will be treasured and used a long time. I didn't use much of a pattern but it is knit very much like the wonderful baby blankets that pop up on the Purl Bee every so often. 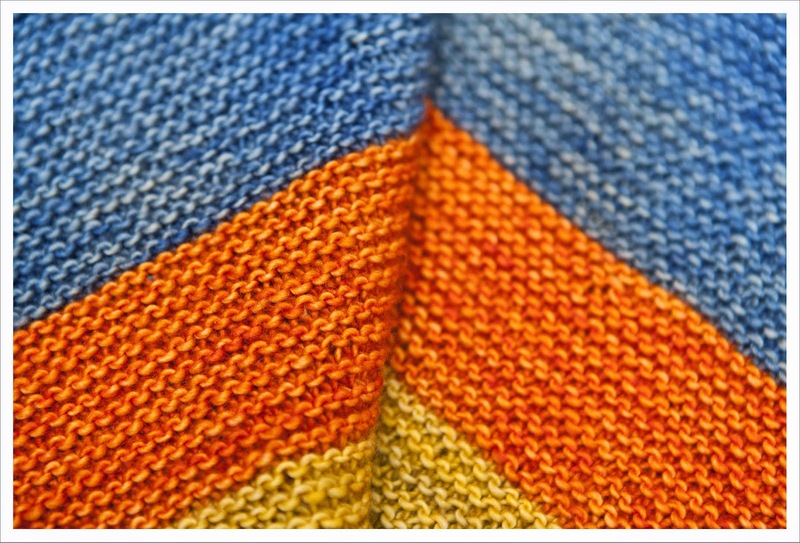 Like the first one I knitted, this one also uses Madelinetosh yarn which is hand dyed and divinely soft. I bought this combo at the delightful Loop Yarn in North London. Congratulations! beautiful blanket and beautiful colours. 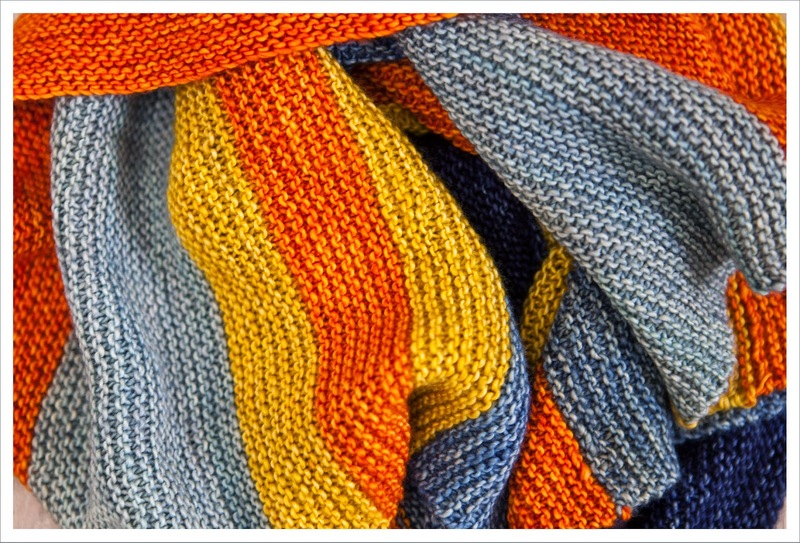 I love garter stitch baby blankets.